into what are now called Caryll Runes. Provost Willem would have been proud of Caryll's runes, as they do not rely upon blood in any measure. 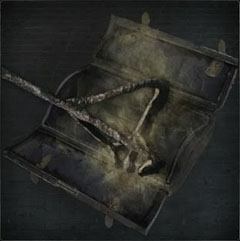 Rune Workshop Tool is a Key Item in Bloodborne. Unlocks the Memory Altar located in Hunter's Dream. The Memory Altar allows the player to memorize Caryll Runes, which give benefits to the player character. In Hemwick Charnel Lane, in the room after the Witch of Hemwick boss fight on a corpse. If you already killed the Witch of Hemwick but didn't pick up the Rune Workshop Tool, you can travel to the Witch's Abode lamp. It is in the room near the lamp. If you have previously picked up the item in a previous run, and thus already have access to the Rune Workshop, a Kin Coldblood will replace it. Kin Coldblood (12) in NG+, unsure in later playthoughs. The actual tool appears to be a brand in the shape of the hunter's symbol. I&apos;m trying to figure out what the Rune Workshop Tool&apos;s item picture is supposed to be? Thanks. Ignore the douche below.